KOCHI, India –Marlon Samuels made a magnificent unbeaten century and then took two quick wickets as West Indies beat India by 124 runs on Wednesday to take a 1-0 lead in the five-match One-Day International Series. The 33-year-old made a stroke filled 126 not out – off just 116 balls with 11 fours and four sixes – to reach the milestone of 4,000 career runs. He added a record 165 for the fourth wicket with wicket-keeper Denesh Ramdin – who made 61 off 59 balls at the Nehru Stadium. 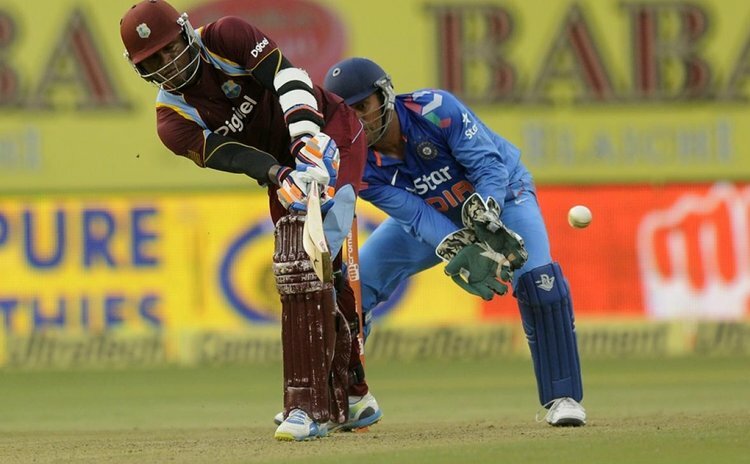 This pushed West Indies to 321-6 off 50 overs and they then bowled out India for 197 off 41 overs. Samuels then took 2-10 to return the best figures and win the Man-of-the-Match award. Skipper Dwayne Bravo, who celebrated his 31st birthday on Tuesday, took 2-28 to move to 198 career wickets.